The first trailer for Warner Bros. Pictures' real-life airborne thriller “Sully” has just taken off and may be viewed later at this post. "Sully" opens in Philippine cinemas on September 8th. 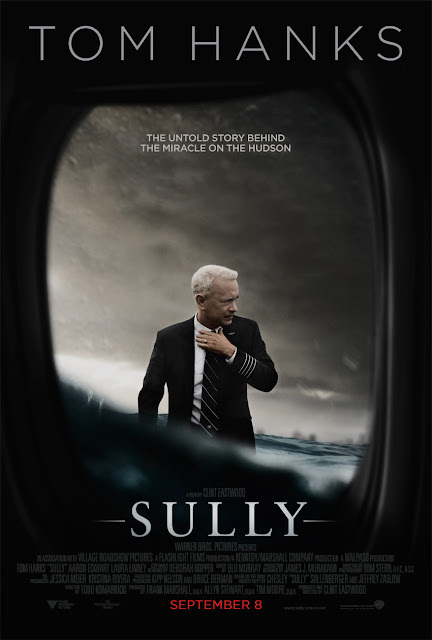 The film is being directed by Clint Eastwood starring Tom Hanks as Captain Chesley “Sully” Sullenberger. On January 15, 2009, the world witnessed the “Miracle on the Hudson” when Captain “Sully” Sullenberger glided his disabled plane onto the frigid waters of the Hudson River and in the process saving the lives of all 155 aboard. However, even as Sully was being heralded by the public and the media for his unprecedented feat of aviation skill, an investigation was unfolding that threatened to destroy his reputation and his career.